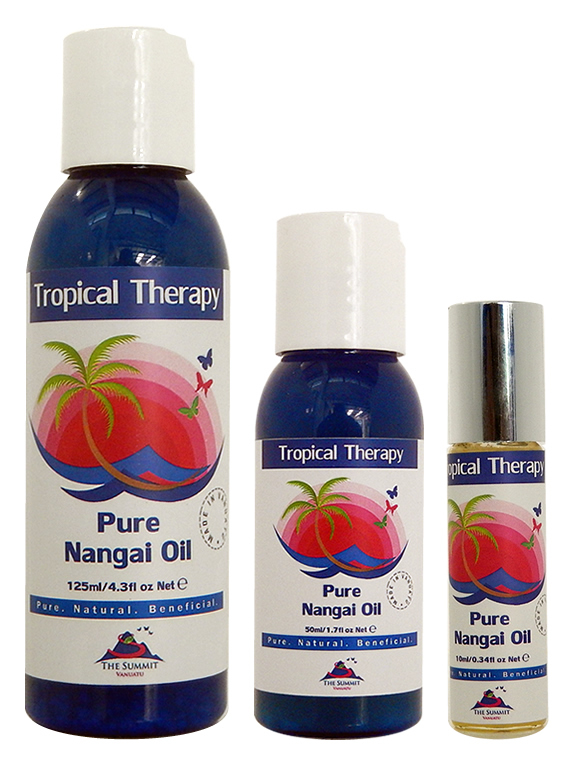 Nangai Oil, also known as Ngali Oil, is cold pressed from the nuts of the Canarium indicum tree. Its rich texture is due to high levels of palmitic, stearic, oleic and linoleic fatty acids. Nangai Oil is packed with these fatty acids which give the oil excellent healing and emollient properties. 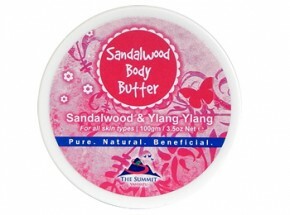 It softens and soothes the skin, without leaving an oily residue. 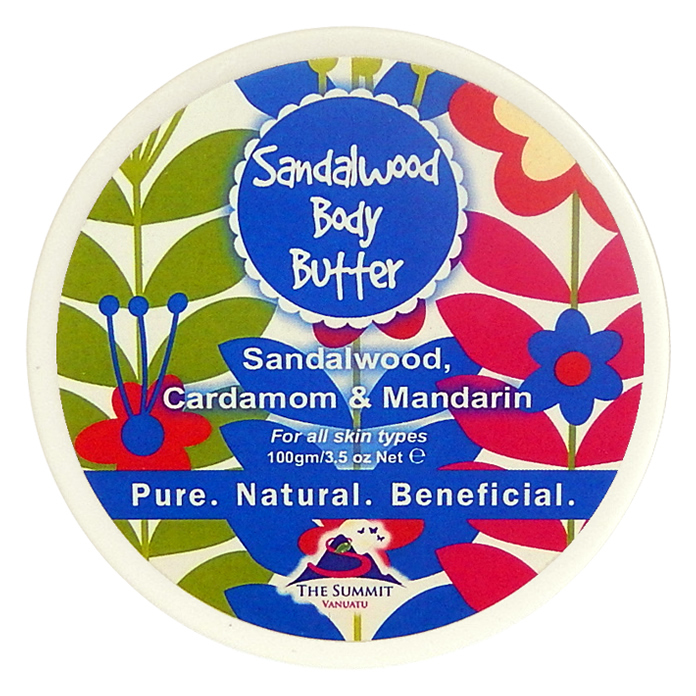 In cosmetics it makes an excellent natural moisturising body oil and additive to healing salves. Nangai Oil quickly penetrates the skin’s outer layer leaving skin with a lovely, matte, hydrated glow. With regular use, a healthy skin moisture balance is achieved. Its highly absorbent properties make it a superior replacement for other carrier oils, including Jojoba oil. In addition, Nangai Nut Oil has been shown to relieve the symptoms of arthritis and has been used to replace steroid based applications in controlling the pain and inflammation associated with this common affliction. Our nangai oil is undiluted and unblended, simply 100% pure, premium oil from the nangai nut. What is Nangai Oil? Read about properties and uses of Nangai Oil in our ingredients section and also view the entire range of products using Nangai Oil. In cosmetics, it makes an excellent natural moisturising body oil and additive to healing salves. Nangai Oil quickly penetrates the skin’s outer layer leaving skin with a lovely, matte, hydrated glow. With regular use, a healthy skin moisture balance is achieved. I was slightly sceptical of course but for such a small cost I was happy to give it a try. I have used many, many skin products in my life… and nothing comes even close to the remarkable benefits to my skin that I can see from using this product after just 6 weeks! There’s an unbelievably youthful improvement in my skin… try it, you’ll not be dissapointed! I’m currently formulating products and have been using oils from all over the world. Thus far, this Nangai oil is my favorite. It is incredibly fast absorbing and leaves the skin feeling very soft. I literally love it. Just ordered another 7 bottles. I’ve tried Nangai from other suppliers and not one even comes close to how good this stuff is. Thank you! I only purchased a small 12ml to try. Well, it’s been amazing! It has dramatically helped my severe nerve pain in my legs from lipoedema (a disease which causes severe pain in the fat cells of affected areas) and from surgery I had in that area. It also really helps with itching and aches as well as being a luxurious moisturiser that my skin loves. I just ordered the largest size and its worth every penny.